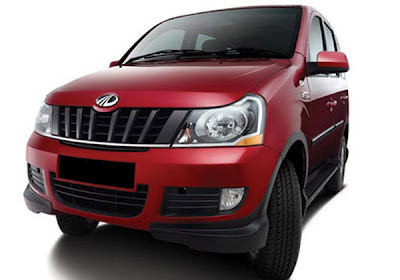 Carnation Auto Blog: Mahindra Quanto - It's Mahindra Mini Xylo Rechristened! Mahindra Quanto - It's Mahindra Mini Xylo Rechristened! How many of you have heard the English song - "It's raining men"? The latest cover version was sung by Geri Haliwell (a former Spice Girl) and was a big hit! Why am I talking about a cheesy sounding English song in my blog about cars? Because, it's raining compact SUVs in India! It all started with the X1s, Yetis among others and it's yet to stop! From premium luxury mini SUVs to our very own homegrown ones, everyone is swimming at the deep end of this pool, some enjoying the waters, others jumping out of the pool due to sheer breathlessness. With as many as 30 cars queued up for launch in the last quarter of 2012, India is going to run out of roads, no pun intended! Everyone wants one from the line up of the long list of cars ready to be rolled out. And SUVs, full-blown off roaders, or compacts or crossovers, well they are all ruling the roost. I decided to blog about the much awaited Mahindra Mini Xylo, ready to be launched in the next one month, only to find out that its been re-christened to a funkier sounding name that also ends with the alphabet 'O,' QUANTO, just like the Scropio, the XUV 5oo and Xylo! Looks first. The Mahindra Quanto is hardly different when compared with its predecessor, the Xylo. The new mini-SUV's front appearance has changed in that it now has a fairly well-defined hood and the Mahindra emblem has been repositioned and placed just above the front grille. Expected to be launched just around Diwali, this 7-seater Sports Utility Vehicle has a butterfly-like 3/4 glass rear and gives a good view of the road left behind! Less than 4-meters in length, the Quanto will come with a 1.5-Litre mHawk twin-charged diesel engine with 100BHP power output. While its sub-4 meters length gives it a place in the small car segment, it also gets a 10% excise benefit and hopefully that means that it will be priced between 5lakh to 7lakh band. If Mahindra wants the Quanto to succeed, they will have to ensure competitive pricing for this vehicle and just making a few cosmetic changes is not going to help grab a share of the market. At least that's my take on it. What's your's? Who are the likely competitors of the Mahindra Quanto? I am guessing its not just off-roaders, but also diesel sedans and sub-10lakh SUVs like the Duster, to-be-launched Ford EcoSport & Maruti XA Alpha, and its own Scorpio for that matter. Do you think the launch of Mahindra Quanto will also give sleepless nights to premium hatchbacks like Hyundai i20 and Maruti Swift among others? Absolutely this car will be giving very tough competition to Duster and also to the upcoming Ford Ecosport and XA Alpha as its features and price range are very impressive with nice mileage will surely capture the India auto market.